Where is the Daily Briefing app / widget? One of the most publicized feature of the Galaxy S smartphone was the Daily Briefing application (and widget). 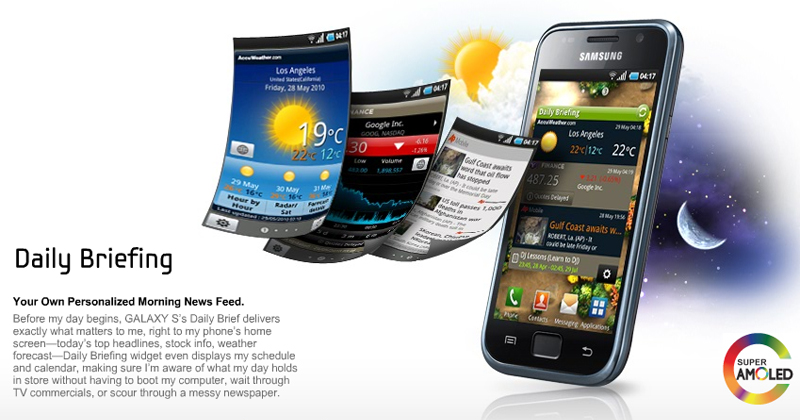 It was a Samsung exclusive pre-installed app that allowed the Galaxy users to quickly glance at the weather, the news, the stock market and at the calendar. Most pre-installed software manufacturers put in their devices are usually not very useful, but in this case it was a pretty nice piece of code that actually served a purpose. And apparently a lot of people used it. Vodafone, in the Gingerbread firmware update to the i9000 Galaxy S, simply removed the app / widget. Without a warning, or an explanation, Vodafone just made it disappear, one of the key features of the phone, the main Samsung app that appeared in most Samsung pictures of the model as you can see below. Since it’s a Samsung exclusive app, if the user wants Daily Briefing back, he can’t find and install it from the Android Market and I can’t find it in the Samsung Apps store either, so the user will have to find an alternative on their own. 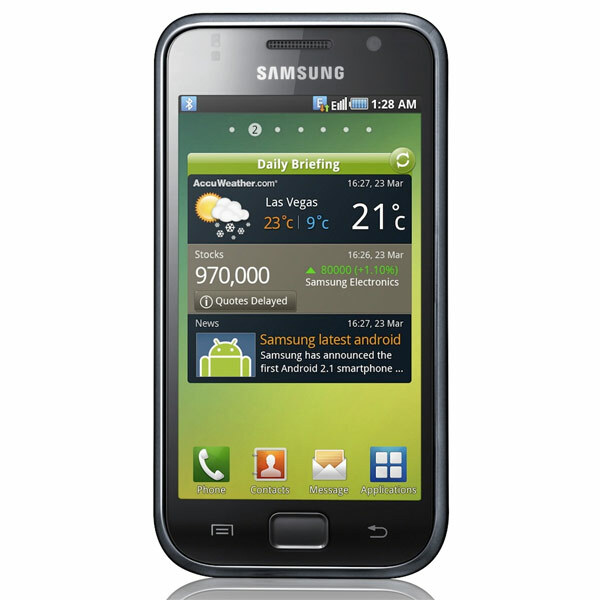 This entry was posted on October 8, 2011 at 13:00 and is filed under Android, Samsung, Vodafone. You can follow any responses to this entry through the RSS 2.0 feed. You can leave a response, or trackback from your own site. Apparently the same thing happened with the ATT version, the Captivate. When I first bought my Captivate it had Android 2.1 I upgraded to Froyo (2.2). I used Daily Briefing all the time with those 2 versions of the op sys. I upgraded to Gingerbread and Daily Briefing went away. It actually says the app is not installed on my phone. I did NOT deleted it. It disappeared when I went to Gingerbread. So that was my mistake also – upgrade to Gingerbread and lose Daily Briefing App. Shame there was no warning. I wonder (maybe suppose) that is what happened to my wifes contacts on my home page and I can’t find a way to replace this either. Is this progress?